A study shows that fish tend to become more alert and cautious when they are in sediment-filled waters. Human activity has caused suspended sediment concentrations in tropical coastal waters to increase substantially over the past few decades. We all know that swimming in murky waters isn't fun. For fish, murky waters adds an element of danger—it's harder to spot potential predators. Thus, it's no wonder a recent study published in the Coral Reefs journal shows that fish get more anxious when swimming in waters filled with sediment. 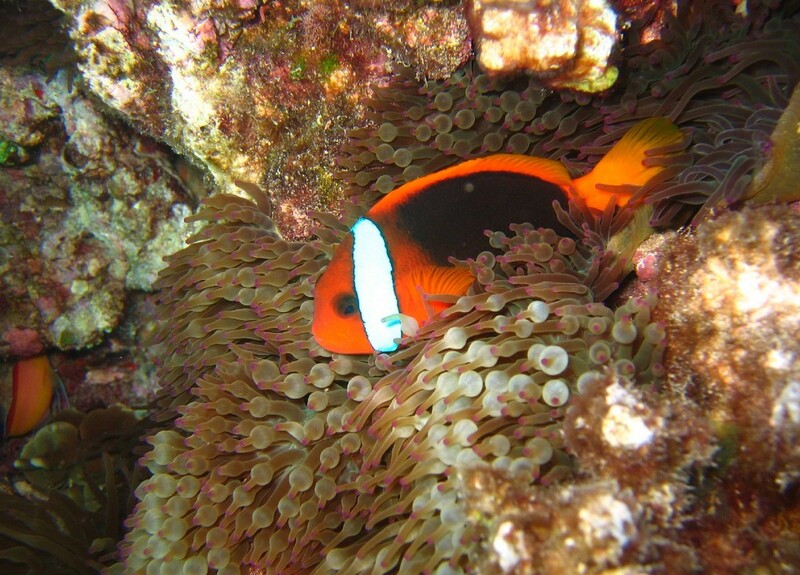 Led by researchers at the ARC Centre of Excellence for Coral Reef Studies at James Cook University, the study involved one-month-old cinnamon anemonefish. The fish were placed in a sediment-filled tank for a week before being exposed to a simulated predator attack. The fish were observed to be less active when looking for food and avoided open areas when they were in murky water. On the simulated attack, PhD student Sybille Hess said, "We found the fish responded faster and were able to dart away from the simulated predator attack more effectively than those living in clear-water, which suggests the fish are on high alert owing to the decrease in visibility." While being more alert would tend to increase the fish's survival rate, it means that additional energy is directed to this purpose. In turn, this means that less energy is available for growth, maintenance and reproduction. Senior author Associate Professor Jodie Rummer adds, "When fish feel as though they are constantly at risk, this perceived risk takes energy away from other important tasks—side effects could include impaired growth and a compromised immune system." Ultimately, this may have greater consequences on the fish population than the predators themselves.